One of the most beautiful forms of motion is dance.The choreographed movement to music using the human body can't be equaled by any other forms of motion. It is for this reason that artistic motion is described as a "dance" even in other athletic events. One of the key pieces to the beauty of the ballet dancer is the pointe shoe. Being en pointe is therefore a rite of passage and a moment that a dancer looks forward to the most in their dance career. If done correctly, pointe can also be the most rewarding form of ballet dancing for the dancer and the observer. In hopes of facilitating the correct progression to pointe, we have created this report answering some common questions. Why wait to get into Pointe shoes? 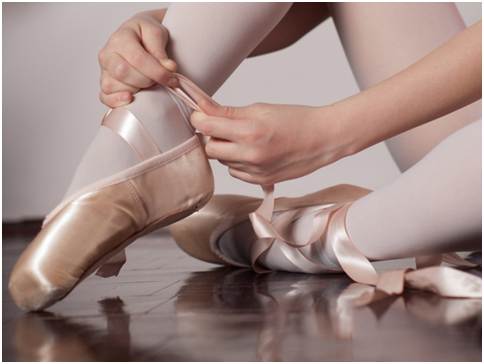 As children learn and grow and their dance skills improve, getting into pointe shoes can be a very exciting moment. 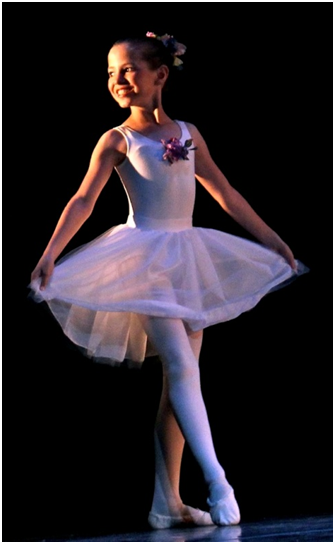 However, it is important to make sure the child’s foot is properly developed before beginning pointe. Although designed to facilitate dancing en pointe, pointe shoes distribute body weight very unnaturally over the foot, causing stress and strain in unusual areas. In an immature foot or a foot without adequate strength to counteract the stress and strain, significant injury and even long-term problems can develop. These problems could include stress fractures, tendon or ligament injury, severe ankle sprains, osteoarthritis, bunions and hammertoes. Therefore, a dancer needs strong, developed feet in order to combat this stress and at least reduce the chance of injury or progressive deformity. When you figure that deformities develop over time in the healthiest of pointe dancers, imagine how debilitating or limiting the injuries could be in a foot not prepared. At what age do growth plates stop growing? Growth plates or physis are an area of growing bones that allow increase in length or size. The area consists of cartilagenous tissue that expands as it is replaced at the edges of the bone. Since cartilage is not as structurally sound as bone, there is higher risk of injury while these plates are open. Growth plate closure varies from individual to individual, but usually will not be complete until anywhere from 11 - 16 years of age. These ages should be considered, as well as x-rays evaluated prior to progression to dancing en pointe if under the age of 16. What will the doctor test when you come in? X-ray exam of feet and lower legs. Careful evaluation of foot and ankle structurally. It will often include recommendations on exercises or other activities to improve ability to dance en pointe without problems. What are some ways to protect my feet once I am dancing en pointe? Disinfect the needle with rubbing alcohol. Insert the needle at the base of the blister. This will leave a protective covering on the vulnerable spot and reduce chances of infection. Allow the fluid to drain, applying slight pressure to help the fluid flow out. Apply a bandaid or moleskin to the area to reduce the rubbing that created the blister. Taping the toes or using moleskin patches can help to protect them from rubbing inside the shoe. Keep toenails trimmed short and straight across. Some dancer will use gel or lamb’s wool padding in their pointe shoes, but others feel it may interfere with the feel of the shoe. The shoe has a strong shank. The shank of the shoe will assist in supporting dancing en pointe, especially if you have a very flexible arch.